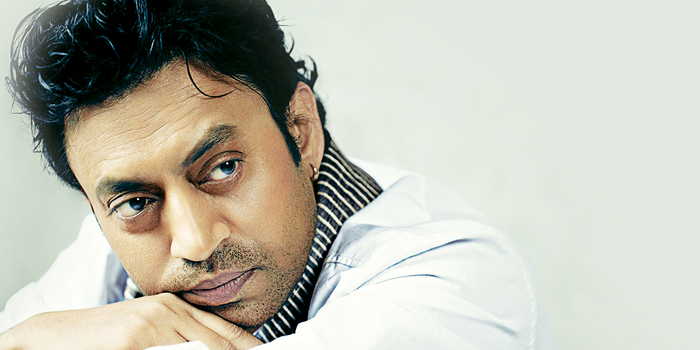 Free of the contrived American accent, a bane to most crossover actors, Irrfan Khan is still surprisingly unassuming. He starts a conversation with a�?Haan ji boliyea�? and takes his interviews rather seriously. Currently promoting the big Life of Pi premiere on Star World, Khan continues to tackle questions about the big Oscar debate a�� The Lunch box v/s The Good Road. a�?Whether we like it or not, Oscar recognition can change the face of Indian cinema. It is a definite sign of a progressive movie culture. We need that exposure now. Our films lag behind globally as we still make only films for the Indian audience. We really need to widen our horizon,a�? maintains the actor. On his first ever Punjabi debut this year, Qissa (which has already won an award at the Toronto film festival)A� he says, a�?Ita��s a film that involves technicians from different countries. Ita��s a great way to connect to the International circuit. I struggled with Punjabi initially. I am curious about how it will be accepted,a�? says Khan. After living the character of athlete-turned-dacoit, Paan Singh Tomar, we hear he has given the nod for a biopic on musician, Bhupen Hazarika. a�?Truth is that nobody has approached me yet. I would love to do it. I am really keen on doing a subject based on music,a�? he confides. Given a choice, fiction or the real story? a�?I would say a biopic, as there is so much material to work on. Anyway life is more inspiring than fiction,a�? he laughs. His Hindi film, Gunday, which he likes to describe as a multi-star cast entertainer is up next. On indie films and promotions, a�?One reason why films like The Ship of Theseus and The Lunch Box gained so much mileage is because they have found that space to bring in more audience for their films. Today, the line between offbeat, commercial or indie films are blurring. We have a definite space now,a�? he says. Not one for the typical masala fare, he is equally indifferent to the current surge of South remakes in Bollywood, a�?Ita��s a safer way to approach a subject. You dona��t need a script, less risk and better success rate,a�? he concedes. On balancing off beat and commercial films he says, a�?a�?I can never consciously line up my films in that order. The subject should speak to me. So long as it has a logical reasoning, I dona��t look at the genres.a�?